Please note that this lot is a self portrait. 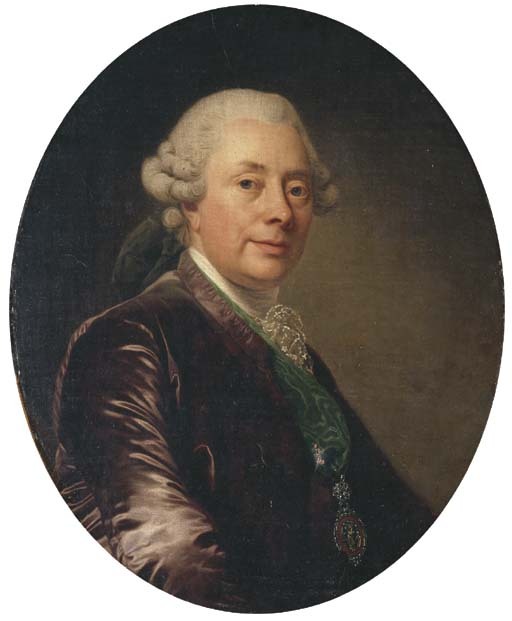 It relates to the painting of circa 1780 now in the Musée Jacquemart André (Lundberg no. 555), in which the artist is depicted half-length, wearing the Vasa Order, holding his palette and brushes, before a portrait of his wife.